PlazaPerformance.com is a one-stop shop; from wheels & tires, tune ups & maintenance, and accessories. Plaza Performance specializes and is dedicated to giving our customers the finest service, finest quality, and best price. Established in 1998, our team has been trend setters and game changers since day one. Plaza’s team has over 100 years of experience and are all car enthusiasts. Plaza Performance mechanics and tire installers are qualified and certified technicians. All our equipment is state of the art. Let’s not forget our sales team; they’re highly knowledgeable on all our products and have excellent social skills. We work closely with our customers to bring their visions to life. PlazaPerformance.com is the true car specialist! Our Tire & Wheel department will exceed all your needs. Plaza Performance will make sure your car is running on the proper fitments and sizes. 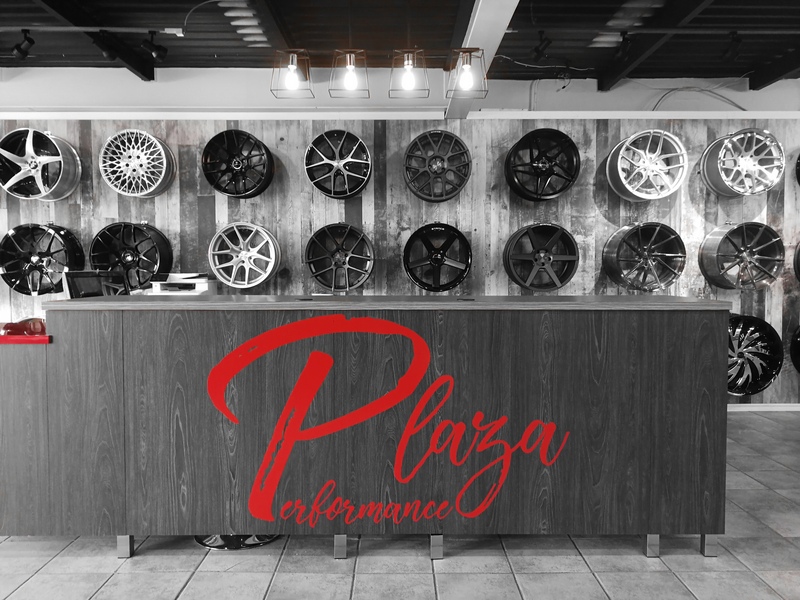 PlazaPerformance.com supplies all luxury, replica, and aftermarket wheels; Forgiato, Blaque Diamond BD, Avant Garde AG, Stance, Vertini, and much more. In addition, we supply all tire brands; Pirelli, Nokian, Continental, Michelin, BF Goodrich, Bridgestone, Toyo Tires, Minerva, Cooper, and many more. For both Wheels and Tires, Plaza Performance offers Winter, Summer, and All-Season. No more lugging tires back and forth; Plaza Performance stores your tires too. Plaza’s mechanical department offers repair services from oil changes, brake jobs, suspensions, to insurance claims. All car accessories; Plaza Performance can accommodate you as well. From LED lights to suspensions. Plaza Performance does not need to claim they’re #1 or Experts; their customers confirm it!